The bad news is, a recent report by the Climate Coalition shows that chips were shorter last year as a result of climate change. This may not sound like a huge deal but it confirms that UK harvests are suffering from erratic and extreme weather events. Farming has always been vulnerable to bad weather but things will only get worse unless we all act on climate. The good news is that, as permaculture practitioners would say, we can turn the problem into a solution. Everyone has to eat and what we eat affects planetary health as well as our own. In this article we will explore what choices can be good for you and your environmental footprint at the same time. We will start off by looking at food miles. Common sense dictates that the fewer miles a food item travels the lower the carbon emissions. Unfortunately, it’s not that simple. According to “The tricky truth about food miles” transportation represents only around 11% of the carbon footprint of food. 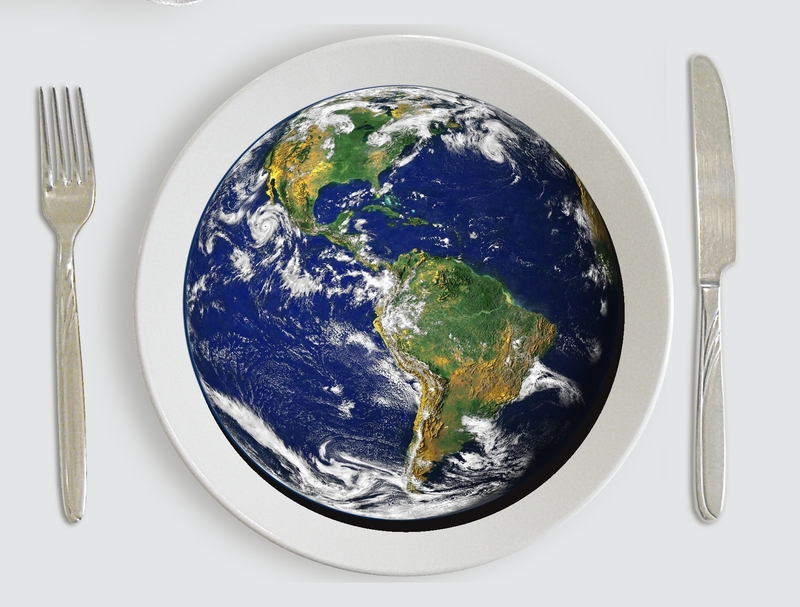 The way our food is produced is usually more significant than how many miles it travels before landing on our plates. Exactly what we eat and how much we waste matters more. According to Our World in Data, the world population uses approximately 50% of total habitable land for agriculture, of which livestock takes up nearly 80%. Yet livestock produces less than 20% of the world’s supply of calories. In other words, producing meat and dairy, which requires a lot of water as well as land, is a very inefficient and often unhealthy way to feed people – especially in a Western country like the UK where we eat more than is good for us. 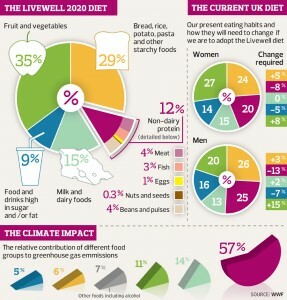 According to the Zero Carbon Britain research project, “the average diet in the UK is contributing to serious health problems – over 60% of adults are overweight or obese, and about 70% of deaths in the UK are related to our diets in some way.” The project’s recommendations, as well as the Livewell 2020 diet pictured below, are similar to the recently scientifically devised planetary health diet. Both show how reducing meat and dairy intake while increasing plant-based foods could do almost everyone a world of good and significantly cut carbon emissions. If you are not sure how to start on this win-win journey, try signing up for Meat-Free Mondays or Veganuary, which will give you tips and recipes. When it comes to fruit and veg, eating unsprayed or organic, locally grown seasonal produce is always a good choice. If you haven’t got the inclination or means to grow your own, you can keep track of what is in season via this page. You might also like to check out Edible York growing beds around the city and support Good Food York whose aim is for York to be a city where it is easy to acquire fresh, locally produced, environmentally sustainable food. 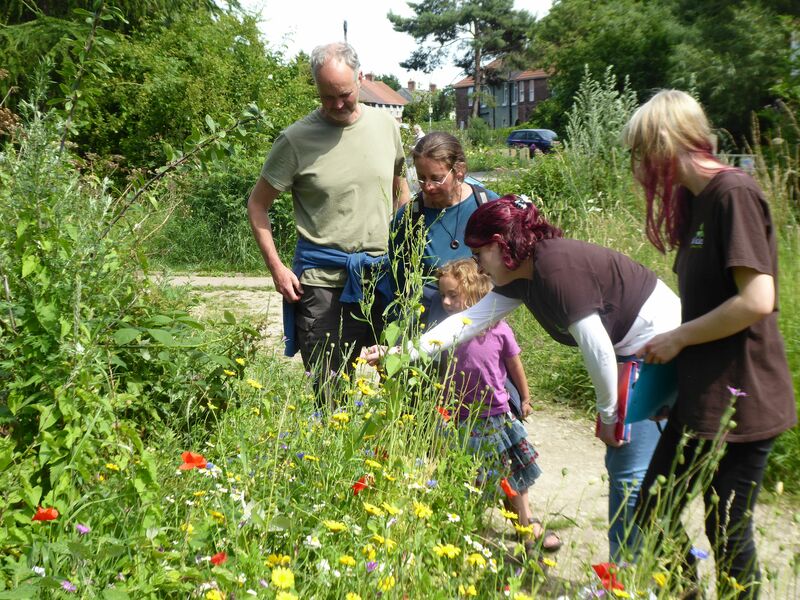 We can all help pollinating and other insects in cities to make up for the losses of habitat in the countryside by planting wildflowers and managing grasslands for wildlife instead of having uniform lawns. St Nicks has been doing a lot of work on this with our Meadow Keepers project. Click on the image to find out more or get involved. Of course, it’s not all just about carbon. Intensive agriculture and livestock farming are also major drivers of pollution and of wildlife loss around the world. Even if one chooses to ignore animal rights issues, which is a big topic in its own right, the impacts on the environment are undeniable. Ironically, a lot of them are also self-destructive: overuse of pesticides and insecticides eliminates pollinating insects needed to bring food on our tables while intensive farming practices lead to soil degradation. 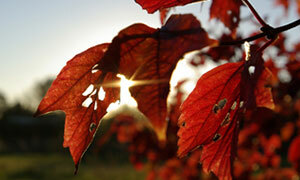 It is estimated there are only 100 harvests left for the UK unless soil fertility is restored. A truly green revolution is needed to fix our food system – organic farming, agroforestry, permaculture and other forms of regenerative food production are well worth supporting where you can. A common argument against de-intensification of agriculture is the need to feed an increasing global population. Yet around one third of all the food produced in the world is never eaten. If food waste were a country it would be the third largest greenhouse gas emitter. In the UK alone, more than £20bn worth of food goes to waste and may cost your family £810 per year (you can learn to reduce that with WRAP). 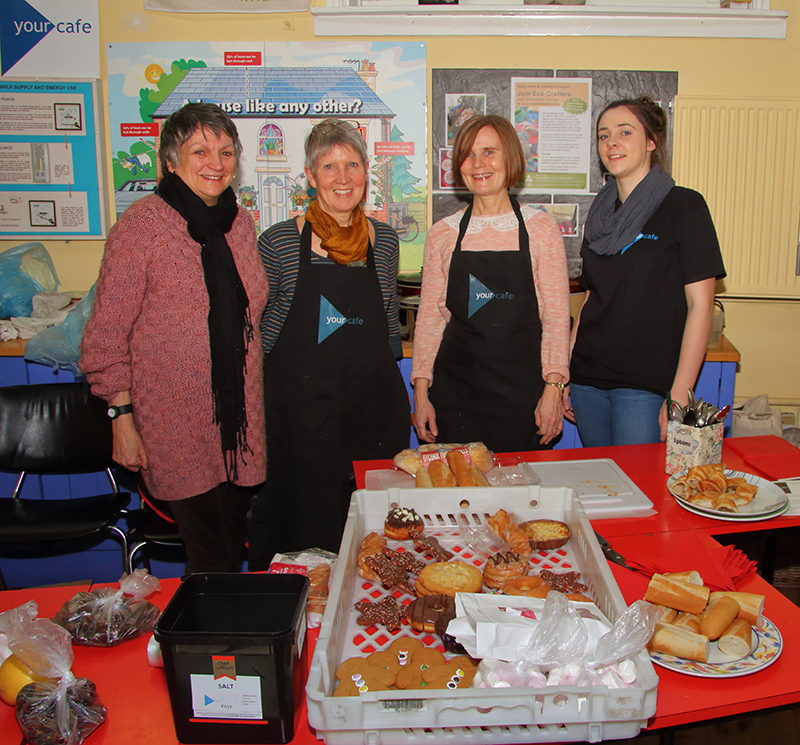 Meanwhile 8.4million people in one of the richest countries of the world are struggling to afford to eat at all… Projects such as yourcafe or Planet Food York are working to address the issues by turning surplus food into affordable nourishing meals served in a community-building atmosphere. After all, problems that may seem unsolvable on our own can be fixed when we work together. Bringing about a sustainable food system or fighting climate change may not be on your daily task list but your shopping list can either hinder efforts or help make it happen. For the love of food, you might even want to join the climate movement, #showthelove this February (and throughout the year) and find other ways to take action.